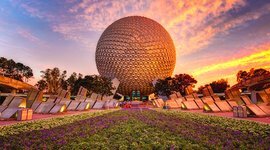 What’s the best thing to do on a hot summer’s day at Walt Disney World? In my opinion, there’s nothing that quite does the trick than a delicious frozen treat. 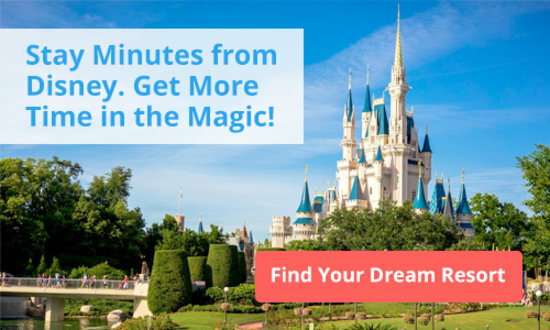 There are so many unique treats that you can only get at Disney Parks. 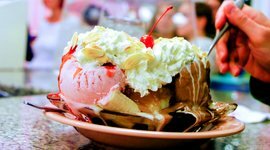 It’s the happiest place on Earth after all, located in one of the hottest states in the country, so you’d expect that they do ice cream right! 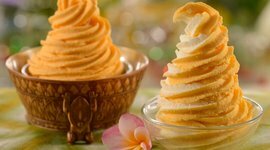 Disney World ice cream along with some unique frozen delicacies — most notably Dole Whip — will satisfy your sweet tooth and cool your jets! Don’t miss these must-try frozen favorites. 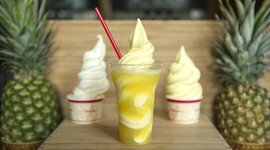 Dole whip is the most coveted treat, frozen or not, throughout the Disney Parks. It’s a classic, refreshing blend of soft-serve Pineapple ice cream served in a cup or cone. Choose your style: swirl, whip, topped or even in a float of pineapple juice. 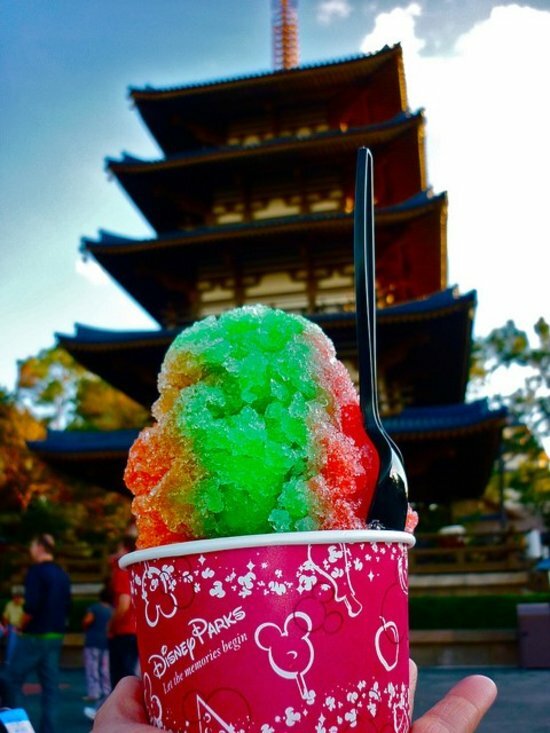 This much sought-after frozen goodness, has a unique flavor, and can only be found at Disney World. Many would consider this ice cream a quintessential experience of any Disney vacation. Keeping with the coolest theme of the summer, Disney Parks just released the Olaf’s Perfect Sundae Day. This Disney Ice Cream treat is based around the new Frozen short film, “Frozen Fever” released during the live-action “Cinderella” movie. 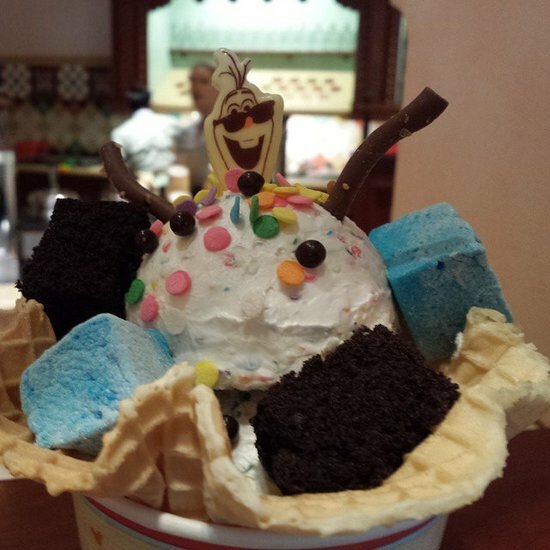 Whether you love Olaf or not, this ice cream concoction is absolutely delicious. It’s a crazy combination of birthday cake flavored ice cream and soft-serve, topped with hot fudge, mint-chips, sprinkles, and brownie pieces, all in a waffle cup. Visit the Japan pavilion near Epcot’s World Showcase for a taste of the legendary Kaki-Gori. 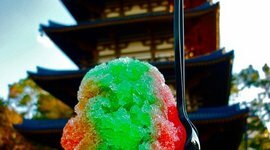 It’s a traditional Japanese treat, made of finely shaved ice with fruit-flavored syrup. It’s not your carnival’s snow cone, but much softer and less like a ball of hard ice. 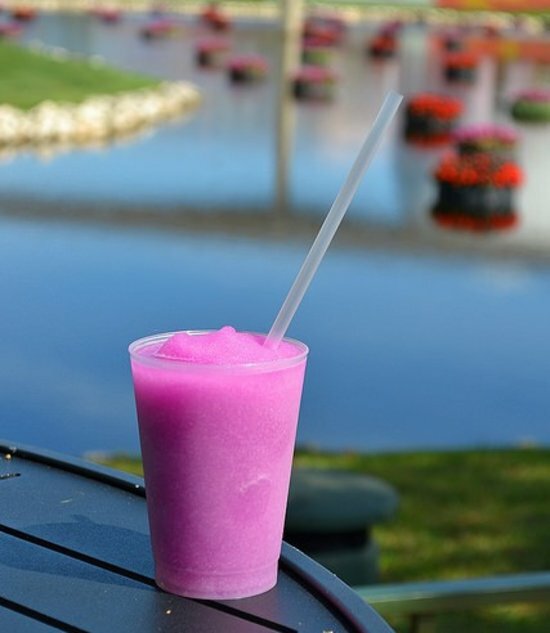 Nearly halfway at Epcot, this frozen treat pairs perfectly with your trip around the world. Disney Day. 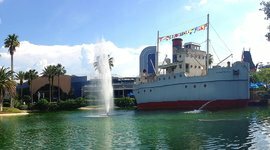 Just what you’ll need to cool off before finishing World Showcase! 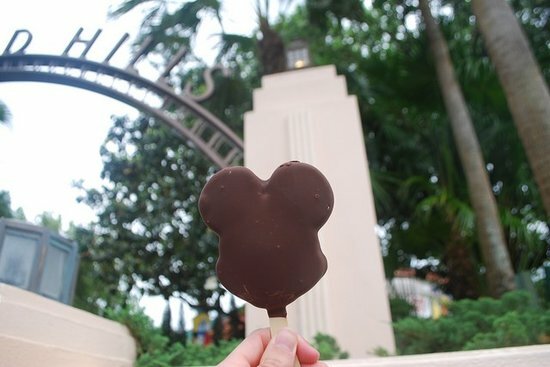 Classic and simple, this Disney World ice cream popsicle can be found at most snack carts throughout the parks. It’s typically the first thing on the menu – a combination of sweet vanilla ice cream covered by rich hard chocolate. It tastes just as delicious as it sounds. Frozen Sunshine is rainbow sherbet, vanilla ice cream, and seltzer blended to perfection and topped with whipped cream and a candied orange slice. 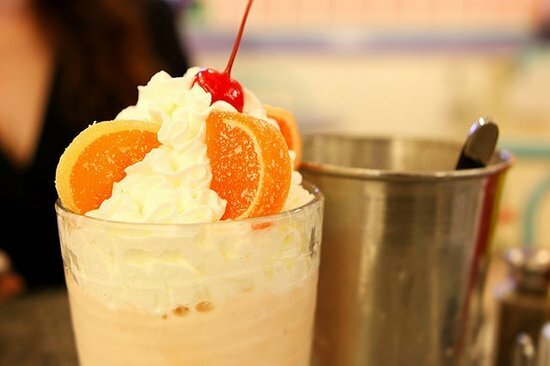 On a hot summer day, stop by Beaches & Cream, an iconic boardwalk soda shop, and treat yourself to a little sunshine. You deserve it! It’s pure pure frozen heaven, especially after you’ve been walking around all day. This tart, slushy beverage comes in a Strawberry and Raspberry flavors (depending on where you stop). 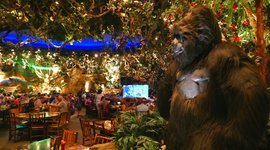 The cool, refreshing treat will give you an unusual burst of strength to keep exploring the parks. Frozen apple juice in the heat of July? Yes, please! This tasty, frothy beverage is fun faux-beer creation served in a collectible, Beauty and the Beast stein or goblet. With no-sugar-added, it’s a combination of frozen apple juice, flavored with toasted marshmallow, and topped by a creamy, passion-fruit froth. 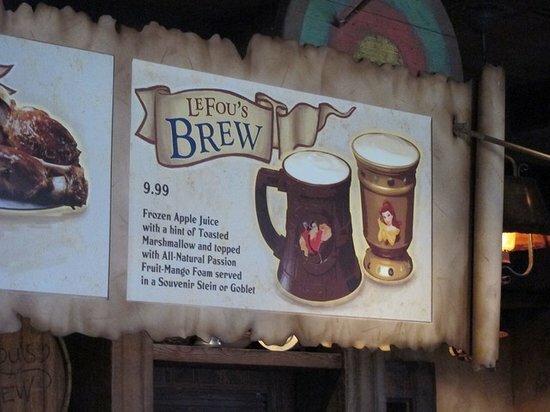 Grab a mug of the stuff and cool down before visiting Belle and Gaston in Fantasyland. 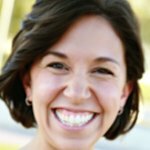 Marisa Langford is a mom to 4 young kids, freelance travel writer, marketing event producer, and social media master. She’s the Destination Guroo for the state of Florida on the popular family travel site, Trekaroo.com and the founder of FitKidsPlayground, a website dedicated to helping families push away the screen, eat healthier, and stay active. Frozen treats in the Heart of "Africa"
From Pineapple Whip Soft-serve with Coconut Rum to a Chocolate Waffle with Espresso Mousse, it's one of the best places for a frozen treat in Animal Kingdom. Enter the world of double pineapple bliss – the dole whip float. It's soft-serve pineapple in pineapple juice. If that's not enough, you always get the fresh-cut pineapple. 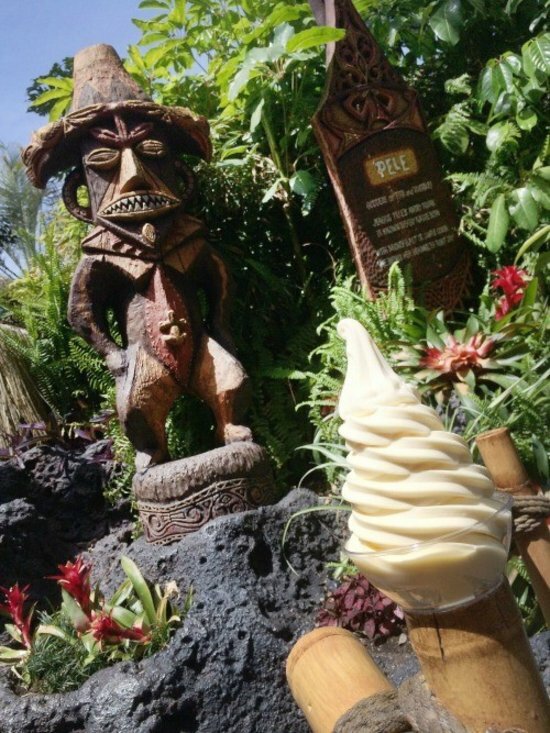 It's a little counter where you can pick up soft-serve, pineapple floats, and collectable souvenir tiki bowls. Remember when formal soda parlors were a thing? Well maybe not, but here's how you can relive soda's golden era in a Coney Island like setting. 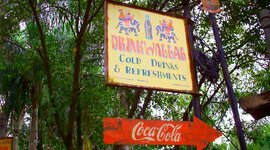 Coca Cola logos are in Hindi script and Bollywood posters line the wall. 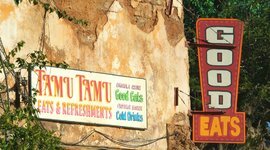 Cool down with a slushy, classic Coke or a the rum spiked Coconut Lychee Lemonade.